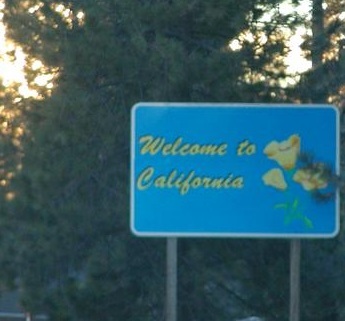 Recently, I met with 6 of our cannabis customers while traveling in Northern California. From each of these companies, I learned something that I’d like to share. Let me tell you a bit about what I learned from these companies. 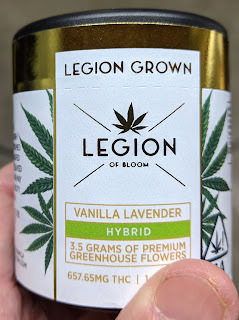 First, we met Legion of Bloom, https://www.thelegionofbloom.com/new-index. The Legion of Bloom is committed to elevating health and well-being. Their sustainable, conscious cultivation and extraction practices are just one way they express their devotion to pure, natural cannabis products. 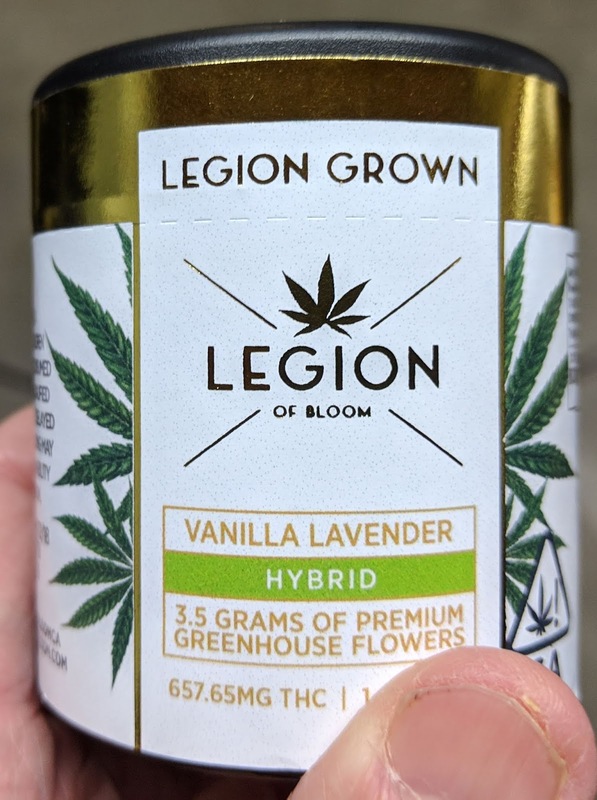 When buying Legion, customers know exactly what they're getting; Responsibly grown, award-winning marijuana and extracts with no additives, ever. Unknown to me, I learned Legion was printing labels with gold embossing; and they looked great! Frankly, we’ve never sold any labels with a metallic embossing. We’ve sold silver/chrome foil labels (and a very small quantity of gold), but never any embossed printable labels. Legion’s finished labels look fantastic. When purchasing labels from a company other than us, you need to make sure you ask your vendor one key point; are the labels inkjet coated? And are they designed for aqueous inkjet printers? Other label printer manufactures publish similar lists. Most label printers, however, use a different type of press to produce preprinted labels; UV curable inkjet. 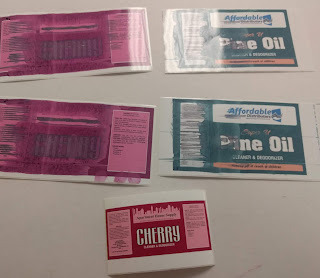 UV inks don’t dry at all on the label, rather are “cured”. Curing is a chemical reaction that occurs after being bombarded with UV radiation. 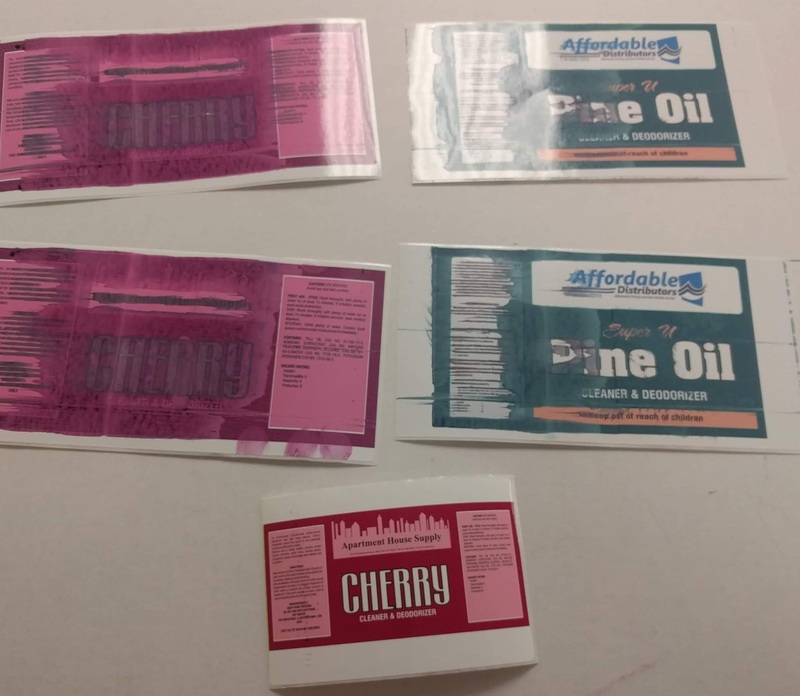 Given the curing, UV label presses use different materials that don’t typically work on aqueous label printers. Therefore, most label companies carry only the materials required for UV based printers. 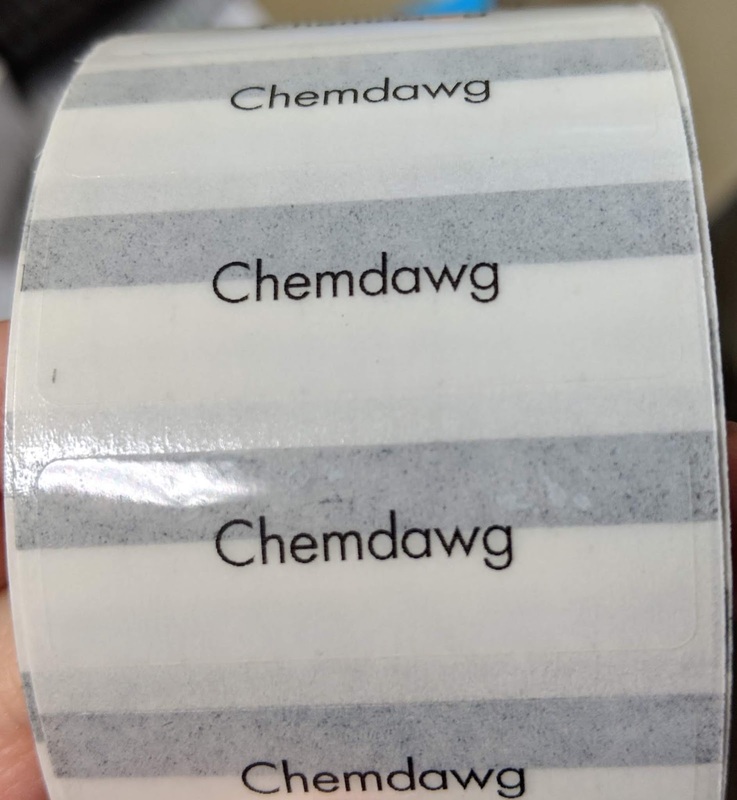 When you purchase labels from us, you don’t have to worry about this issue; every label we sell works with the printers we sell. And by visiting Legion of Bloom, I learned our plant can produce gold-foil, embossed labels. 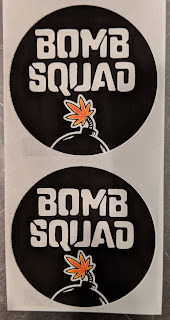 Contact us if you want to print these types of materials. Next, we met with a long-time customer, (who will remain nameless as they package for other manufacturers), who use an Epson C3500 to print labels. 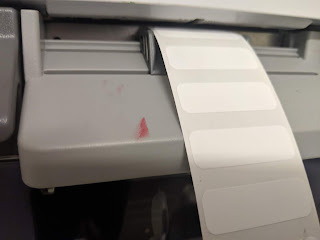 With this printer, I’m always concerned about producing full-bleed labels as it’s difficult to print to the edge consistently. Further, I’m not a big fan of the print quality of this relatively low-resolution printer. However, this customer has figured out how to accomplish pretty good print quality on their labels. And even pretty good full-bleed label printing (even with the blacked-out name). Up close, the print looks pixelated. But from even a short distance, the print quality looks fine. To produce this artwork, this company creates artwork in Illustrator, then imports the final file into BarTender to print the actual labels. This workflow enables this company produce pretty good labels using the C3500. To produce the labels full-bleed, this company sets up the media handling slightly different than what Epson had envisioned. They close the front guide slightly more than the label width; allowing the output labels to ride high on the guide. They have found this setting helps them produce better looking labels. If you have a C3500, you may want to test this trick as well. After the OEM packer, I met with Brite Labs, https://www.britelabs.com/#. In 2014, BRITE Labs was founded in Oakland, CA to pioneer whole plant cannabis concentrates using their proprietary CO2 extraction process. They offer patients and partners a full spectrum oil that is closest to flower, to explore the wellness potential of cannabis & CBD products, and to promote good feelings for all. 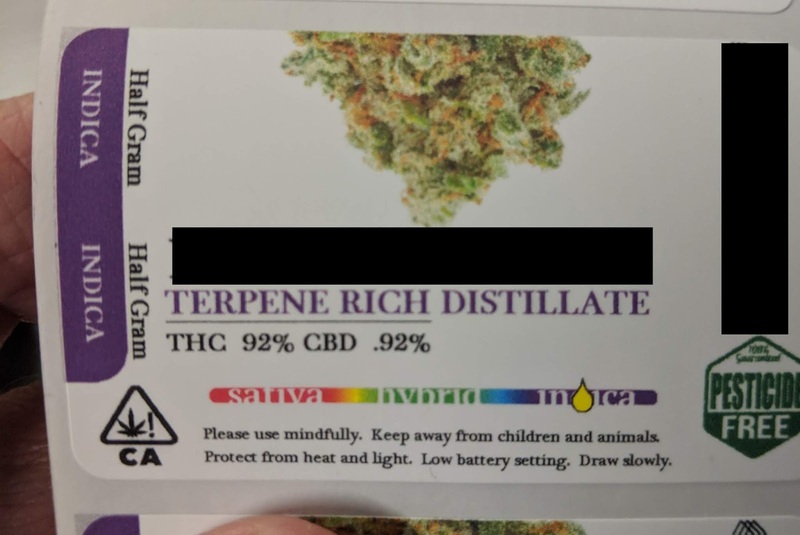 At Brite Labs, I got to see a new label were selling; a pod label for the PAX Cartridge. In July 2018, Hannah Gibson, Sales with Color Label Solutions, was working with Legion of Bloom to implement a print on demand color label solution. 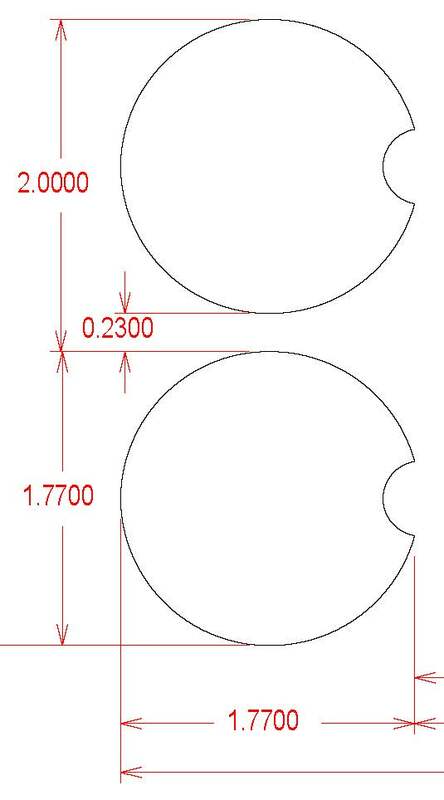 Legion sent Hannah artwork of their custom shape label. 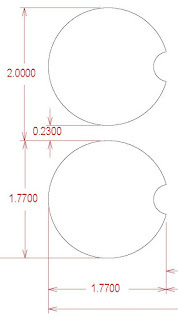 The file was named “PAX”, and was a circle with a small cut out. 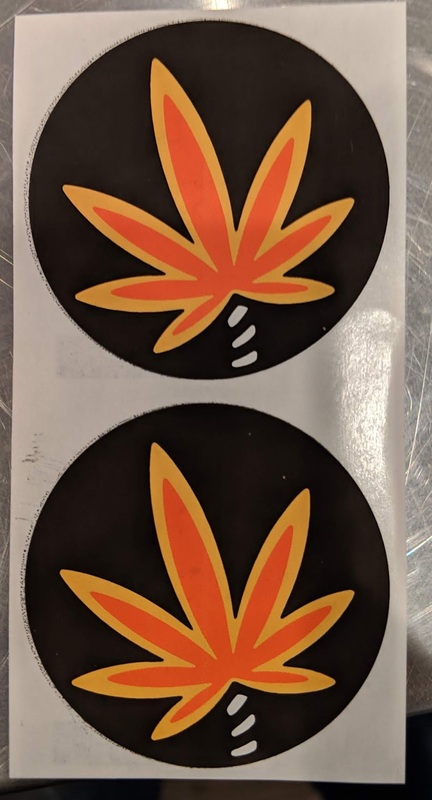 Only one month later, Brite Labs sent Hannah a file of a label shape they needed; and it was identical to what Legion of Bloom had purchased. Given the unique requirements of these two companies, Hannah researched; and found the PAX Era, and PAX Era Pods. Pax (https://www.paxvapor.com/) makes the vaporizer and vaporizer cartridge/pod packaging that is being used by many cannabis companies. After starting to print these labels, Brite Labs discovered the original requested size was overlapping the lip of the container. Given this issue, we created a slightly smaller label. Hannah and Brite Labs found that the 1.77” Circle was a perfect fit. At Brite Labs, the PAX labels seem to be working well; including the application. 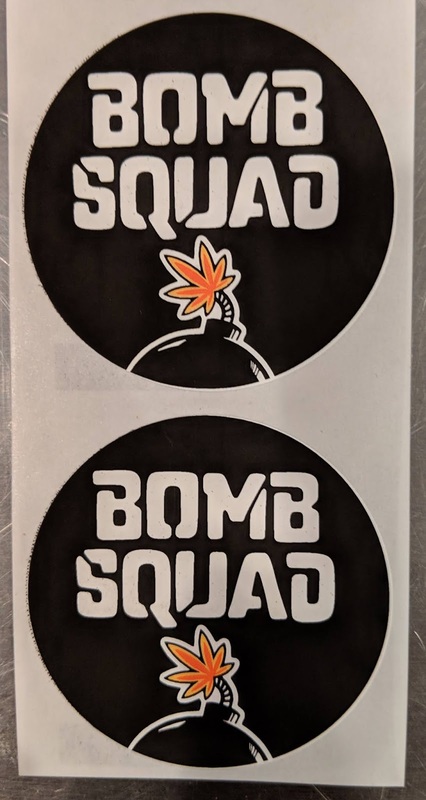 Contact us if you need labels for your PAX Pods. 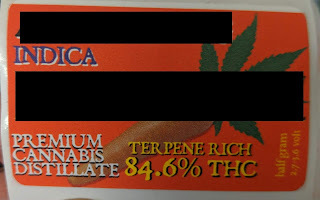 After Brite Labs, I met Utopia, https://www.utopiacannabis.com/. 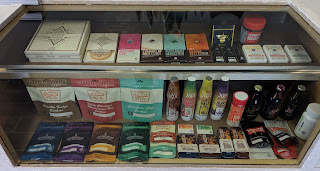 Utopia is an award-winning cannabis company specializing in artisanal flowers, refined extracts and nutritious edibles. All of their products are Envirocann certified and undergo full-spectrum testing to ensure a consistent and safe product. Utopia’s flowers are exclusively cultivated indoors with natural fertilizers and organic pest management techniques to ensure the purest smoking experience. Their extract line consists of terpene and cannabinoid rich concentrates that are refined to honor each strain’s specific profile. Their edibles are made with organic and non-gmo ingredients, providing delicious flavor that both elevates and energizes. Utopia believes that healthy products are a result of high-quality ingredients, conscious techniques, and a commitment to transparency. For several of their products, Utopia needed clear labels to act as tamper evident seals and to convey strain names. Small, clear film labels are difficult to print correctly on the C3500. In fact, we had issues with this clear film; it would create an error every time. Epson could not articulate why the issue. Finally, we decided to test using the rear feed; and it worked well. Using the rear feed, we could even print labels down to .325” in length; below the spec for blackmark/clear film labels. In the future, Utopia plans to create these labels using BarTender, adding color coding and images. By moving to BarTender, Utopia will save time inputting strain names, making it easier to print while making changing artwork easy to do. What’s most interesting with Utopia is their patience with us. They stuck by us as we problem-solved the issues with the Epson C3500 and the clear film labels. We’re lucky to have customers like Utopia. After Utopia, we visited Nu-Tra Distribution. Nu-Tra is a brand-new company, still working to get their licenses. However, they’re ready to start printing labels with their C7500G. Nu-Tra has started printing labels using our matte poly circle labels. We describe these labels as “whiter”; allowing for better colors. I especially liked the print quality of black; the most difficult color to print correctly. I think this black from the C7500G on the whiter matte poly looks great! In the past, I’ve written how only gloss poly labels produce good black colors using the C7500g. But this whiter matte poly produces very nice black colors. I’m glad these labels work for Nu-Tra Distribution. Lastly, we met Indus Holdings, a long-time customer; http://www.indusholdingco.com/. INDUS Holding Company is a vertically-integrated cannabis company with world-class production capabilities, including cultivation, extraction, manufacturing, brand sales & marketing, and distribution. Founded in 2014 by hospitality veteran Robert Weakley and based in Salinas, California, INDUS offers services supporting every step of the supply chain from soil to sale and an extensive portfolio of award-winning brands, including Altai, Dixie, Moon, Beboe and Legal. After visiting Indus a few years ago, I was most impressed by their growth. Indus has grown to become a large company with all types of labeling requirements. 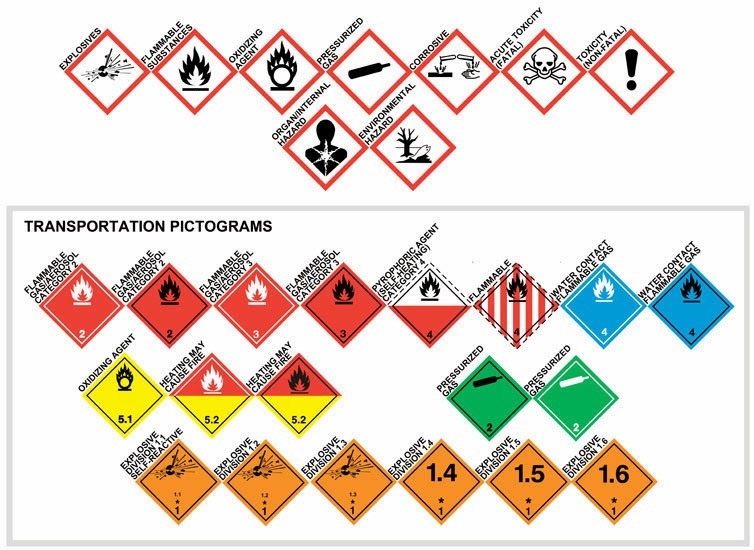 They use our labels for a variety of applications; many with variable data and color image requirements. Color Label Solutions is lucky to have customers such as Indus, that we can grow with them. Over a couple of days, I was lucky to meet in-person a great group of Northern California cannabis companies, to learn more about their company and labeling requirements. I’m very grateful to have customers like the 6 companies. 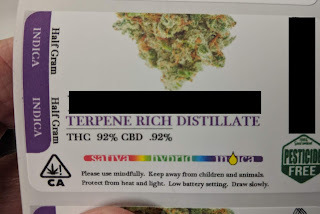 If you are a cultivator and/or manufacturer of products that need labels on-demand, contact us. We’ll help you find the labeling solution to fit your needs. On the off chance that you are having issues identified with HP Printers like any issues with your paper plate, Printer not recognizing paper sheets, The printing machine isn't distinguishing your PC, you can resolve the inquiry by calling us HP Printers Tech Support Phone Number +1-877-301-0214 USA, Canada, and live talk. Our HP Customer Support Team here in the USA, Canada with giving 100% Secure Services. Printer are the most unpredictable machine, they can come up with any issue related to printing process, quality, network, and configuration any time. Even if you are using the best printer brand like Epson then also you can face these problems. Call us at Epson Printer Helpline Number for resolving such issues.